In the year 1482, Leonardo da Vinci was looking for a job and documented his work history on a piece of paper for an employer he was pursuing. Handing in what is documented as being the first résumé in history, I am sure da Vinci never imagined the importance this critical piece of paper would come to play in the American job market. Today, the résumé has become standard currency among job seekers and employers. But as history will reflect, there is a new and much stronger currency on the horizon, and that comes in the form of social media. Your social media brand, how you interact with employers and the level at which you engage will influence your success in the job market. Social media is a big and scary world. Today, there are over 400 registered social media sites on the internet. 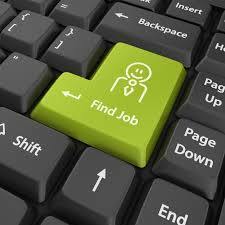 So as a student, how do you navigate this influential job search tool? Let’s break it down. To avoid becoming too overwhelmed, I recommend putting your efforts and energy into mastering the big three for your job search: Facebook, LinkedIn and Twitter. As you may know, Social Media ranks as the fourth highest sourcing tool, beating out the corporate website. You will also note referrals are the number one source for finding good candidates. Social networks, in and of themselves, are tools that generate conversation and create referrals. With 92% of employers using social media to recruit talent, why wouldn’t you engage? Social media runs on engagement. Being an active participant in conversations and contributing useful content is how you build your personal brand and become known by employers. As an employer, it is our job to evaluate your skills and expertise against the position to which you are applying. Having a personal brand which recognizably sells who you are will set you up for success in the interview process. Social media allows you create that brand and share it with the world. 1. Create a Twitter account with a handle that represents the brand you are looking to sell. If you are a finance student, create a handle that references terms or concepts in the financial industry (i.e. @FinanceFinatic, @ExpertNEconomics). Having a handle that represents your brand lets the potential employer know who you are and what you do. Now, engage! Connect and share information relative to your brand. Follow employers and experts within your chosen field. The best way to learn is to read and study. Share links to articles that you find useful or insightful; start a blog and share your thoughts and opinions on your Twitter feed; and retweet and share content from others who share your point of view. As an employer I follow, tweet and engage with students who share an interest in fields of study which align with my business and our hiring needs. 2. Use Facebook to follow employers with which you are interested in working. Create a target list of employers and friend them on Facebook. You can learn a lot about an employer who is active on Facebook. Employers who use Facebook to promote their jobs will share content on culture, job posting and much more. Engage and respond to posts which resonate with your values and interests. I believe that Twitter is a marketing tool and Facebook is more personal. Lock down your profile so only your friends and family can view your information if you do not want potential employers looking at your content. 3. Get on LinkedIn. LinkedIn is a social network dedicated to connecting professionals with one another. Build your profile and start connecting today. As an employer I have the ability to search and locate talent using my networks on LinkedIn. LinkedIn also has over 1 million groups dedicated to sharing and collaborating on topics specific to every industry. Join those groups and start engaging in the conversation. 4. Be Creative. A few years ago I interviewed a candidate for a social media coordinator position. Since social media was the focus of the interview, I decided to look at the candidates Facebook and Twitter accounts when the interview was over. The first thing I noticed when I looked at his Twitter feed were Tweets leading up to the interview about his excited he was to interview with our company and a couple links he shared with his network about our company. This demonstrated the candidate’s interest and excitement for our company. Upon further research, I viewed the candidates Facebook page. His profile picture had been changed to a photo of him, standing in front of our building with a sign that read ‘Jeremy, I am ready to work with your company. Social media was founded on expressing yourself and yields creativity. Think outside the box when pursuing your future career. Employers and job seekers are consistently looking for new ways to use social media in the job search. I know a company in the market that throws out résumés and requires that each applicant express their interest in a position through 140 characters. (This may be a little extreme but has been quite effective for them). Don’t be afraid to engage! The secret to finding the best jobs is doing your research, casting a wide net and selecting the position and company which best represents who you are and where you want to be. Guest Blogger, Jeremy Edmonds, is the Senior Manager of Human Resources for Vail Resorts. He has worked for Google, Facebook, and assisted with the startup and success of three companies in the Denver market. Jeremy loves social media and has been recruiting in the University space for 11 years.